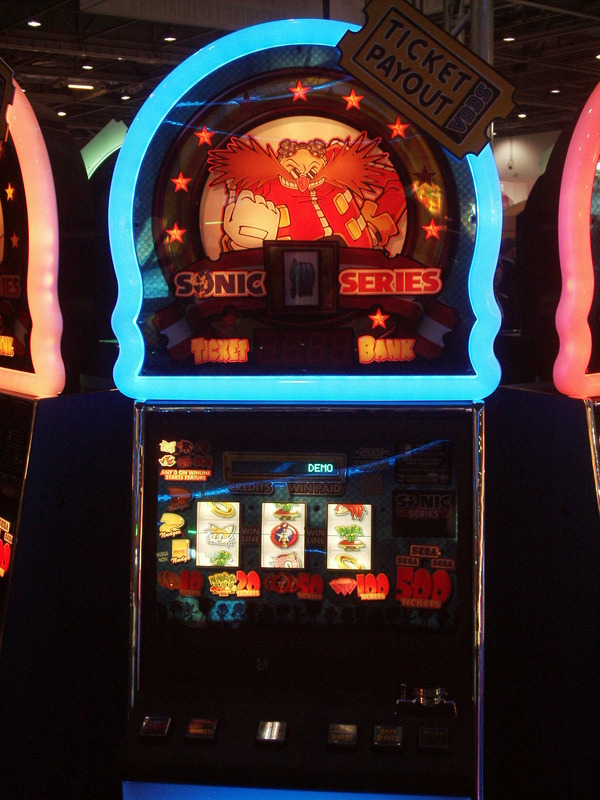 While covering the European Amusement and Gaming Expo, forum member NiktheGreek also managed to catch a few other Sonic related machines on display at the show. First up is Sonic Quad Air, a four-player Sonic themed air hockey table. While not deviating much from normal air hockey, the addition of two players at least spells for a rather chaotic match. 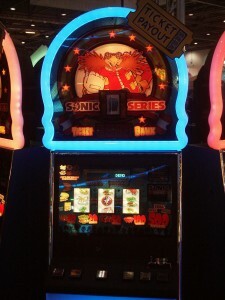 The more interesting machine, and no doubt already getting soccer moms lined up to ban the machine in the United States, is a Sonic series slot machine. Much like the slots in casinos and games, you line up the reels to win a prize. In this case, the payout is done in redeemable prize tickets, with triple Chaos Emeralds promising a payout of about 100 tickets and a jackpot of an ever increasing amount of tickets included. A special thanks to Nik for taking the photos, viewable in the gallery below.